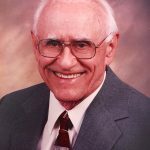 Henry “Hank” Amey, 94, of The Villages, died Jan. 21. He was born July 12, 1924, to John and Mary Ruth in Kalamazoo, Michigan. He was raised and educated in Mattawan. Mr. Amey proudly served three years in the U.S. Army during World War II in Gen. George Patton’s 3rd Army in major battles of Normandy, Northern France, Ardennes, Rineland and central Europe. He was a Kalamazoo police officer for three years and worked 37 years with the Upjohn Pharmaceutical Co. as lead operator in fine chemicals. He worked 15 years for Key Income Tax on Anna Maria Island and also did volunteer tax work for the elderly for 15 years with AARP. He was a golfer and an avid bowler. He was proud of his 210 triplicate and winning the major disease clinic bowling sweeper in 1981, as well as winning league championships. He met the love of his life, Henrietta Kloosterman, in 1976 at Airway Lanes. They married in 1983. They resided on Anna Maria Island in the winter and South Haven, Michigan, in the summer for 23 years. In 2006, they moved to The Villages but kept a residence on the island, which they visited often. He was a life member of the VFW Post 1527 in Kalamazoo, the Elks in Three Rivers and the American Legion and Moose in South Haven. He lived his life with a kind heart, honest, truthful, compassionate, caring and a love for his country, always flying the American flag. Visitation was Jan. 28, and a graveside service with military honors immediately followed at Florida National Cemetery. A celebration of life will be held in Kalamazoo later this summer. Mr. Amey is survived by his wife, Henrietta (Kloosterman); children Sharon and husband Bruce Rosema, Jess and wife Nancy, Bob and wife Mary, granddaughter Jessica; many in-laws; and several nieces and nephews. Harold Gustav Bergstrom, 97, died Jan. 21 in Bradenton. He proudly served in the U.S. Army 26th Infantry Division in Europe during World War II. Upon his return, he built his very successful career as owner of Bergstrom Jewelers in Minneapolis. He split his retirement years between Plymouth, Minnesota, and Holmes Beach. He was an accomplished concert violinist and charter member of the Anna Maria Island Concert Chorus and Orchestra. He also played first violin with the Zuhrah Shrine Orchestra. He played often at his home to the delight of his friends and family. He was also a member of the Masons, Scottish Rite, Sahib and Zuhrah Shrine. A memorial service will be held at 11 a.m. Thursday, Feb. 7, at Roser Memorial Community Church, 512 Pine Ave., Anna Maria. Memorial donations may be made to Roser Church, P.O. Box 247, Anna Maria FL 34216, or to the Shriners Hospitals For Children. Mr. Bergstrom is survived by his wife of more than 75 years, Nell; daughter Nancy and husband Dave Rudberg; son John and wife Kris; granddaughters Anne and husband Tom LeRoy, Theresa and husband Tom Pearson, Kathy Nistler, Janet Haen, Katy and husband Mike Canetta and Megan Manley; great-grandchildren Matt and Nick LeRoy, Emily and Eric Pearson, Abby, Erin and Audrey Nistler, and McKenna and Bria Haen; and brother Donald and wife Mae Britt. Joyce J. Swicegood died Jan. 23 at home in Anna Maria. She was born June 25, 1923, to the late Claus R. and Anna Johnson. A native of Minnesota, she grew up with six siblings in a farming community. In 1969, she married Bobby Swicegood and they had six children. She and her husband moved to Anna Maria for retirement. And they had a remarkable life together, traveling the globe with her late sister and brother-in-law. Their travels brought much joy and contentment. Anna Maria offered them their wonderful island life, which they shared with friends and family. The family is extremely grateful for the help from the many caregivers, Hospice of Manatee County, Tidewell and the doctors she made laugh throughout her life. The family also is grateful for the numerous years her daughter and son-in-law, Leslie and Jerry Cash, dedicated their lives to the caregiving of both Mr. and Mr. Swicegood. A Mass of Christian burial will be celebrated at 10:30 a.m. Monday, Feb. 11, at St. Bernard Catholic Church, 248 S. Harbor Drive, Holmes Beach, with inurnment to follow in the memorial garden. Memorial donations may be made to Tidewell Hospice, 5955 Rand Blvd., Sarasota FL 34238. 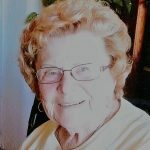 Online condolences may be made at www.shannonfuneralhomes.com. Mrs. Swicegood is survived by her sisters, Juanita and Ramona; children Bonnie and husband Keith Pitchford, Patti and husband Billy Vannice, Leslie and husband Jerry Cash and Brian and wife Johnna; many grandchildren, great-grandchildren and great-great grandchildren; as well as members of her husband’s family. MINI FRIDGE:, $30, office desk and chair, $10, Bessler photo enlarger, $75. 941-356-1456. SOLID OAK DINING table with four chairs, $425. 941-779-2018. HARBORFAST 25-lb. swivel plough anchor, $100 or best offer. 740-503-7006. RATTAN LIVING ROOM lounge, chair, ottoman, end table. Some cushions need slipcovers. $100. 941-778-7293. MEN’S DRESS SHOES and sandals. All like new, size 13. Take all for $100. 941-778-1264. TWO SLEEPER SOFAS: Garage motor. All two years old. $50 each. Karl, 941-704-7798. TO MY BEACH friends; John and Ann, Christy, Wendy and John, and Philadelphia John. I will not be on the beach hunting shells any longer. I have enjoyed it so much these last 10 years, and I will miss you all. Jo Ellen (in the coral hat and beach jacket). walden2720@comcast.net. HOLMES BEACH KEY Royale neighborhood eighth annual garage sale event! 9 a.m.-1 p.m. Saturday, Feb. 9. Follow Key Royale Drive to multiple canal homes with top-notch goods! GARAGE SALE! 9 a.m.- 4 p.m. Friday and Saturday Feb. 8-9 (no early birds, please). Something for everybody, brand new items and old, garage stuff, tools and household treasures, miscellaneous finds and clothes. 216 84th St., Holmes Beach. FOUND SATURDAY JAN. 12: Fluorescent green, small, spiral notebook outside Holmes Beach Walgreen’s. Cashier inside has it. 3200 E. Bay Drive. DEC 24. FOUND: A significant amount of cash on Marina Drive. The cash has been left with the Holmes Beach Police Department. WANTED! FOSTERS, VOLUNTEERS to help Moonracer No Kill Animal Rescue. Please email: moonraceranimalrescue@gmail.com. WANTED: HOUSE CLEANER. Part-time, two days a week. Call Richard, 941-518-1216. JESSIE’S ISLAND STORE is now hiring night shift cashier, 3-4 nights. See Jimmy or April for details. 5424 Marina Drive, Holmes Beach. 941-778-6903. B-SAFE-RIDES: Peggy, R.N I live on Anna Maria Island. Airport, one-six seats and personal rides, errands, etc. Don’t risk it! Call now, 727-902-7784. PRESSURE CLEAN SMALL/medium driveway, $50. 941-718-1134. Ken. AVAILABLE RENTAL: APRIL 2019 and October through April 2020. 2BR/2BA ground level with carport and patio. 1.5 blocks to Gulf. Updated, granite countertops, recessed lighting, flat-screen TVs in living room, TV room and bedrooms. Must see! Anna Maria. 941-565-2373. VACATION RENTAL: BEAUTIFUL one-bedroom condo. Pool, one block to beach, cable, Wi-Fi. Available January-March, $3,000/month. 941-778-1915. SEEKING FEBRUARY OR partial month. Mangrove Avenue to Cypress Avenue, Anna Maria, $4,000-5,000. 419-957-6794. HOLMES BEACH: ANNUAL elevated, unfurnished 2BR/2BA, garage, lanai, no smoking/pets. $1,500/month. 970-331-1042. BRADENTON BEACH, ANNUAL; unfurnished 2BR/1BA, ground level, will consider small pet, no smoking. $1,600/month. 941-705-4737. HOLMES BEACH: 2019-20 winter rental. 2BR/2BA Gulf side of Gulf Drive, half block to beach. No pets, no smoking. 813-254-8844. OWNER SELLING 2BR/2BA condo. Perico Bay Club, water views. $245,000. DISCOUNT NOW: ISLAND waterfront home. 3BR/2BA, double garage, features vaulted ceiling, heated pool and spa, boat lift and dock. Now $729,000 plus $15,000 discount for a 30-day closing. Real Estate Mart, 941-356-1456. DOUBLEWIDE MOBILE home. Handyman special. $29,000 or best offer. Ask for JB, 941-356-1456. Real Estate Mart. BAYFRONT 5BR/4BA HOME with elevator, deep-water dockage and boat lift. Elevator, private heated pool, crows nest, three living areas, two-car garage, poolside game room and living area. Beautiful full bay views of the Intracoastal Waterway throughout home. $1,600,000. Please, call Bill at 941-807-2158, anytime. MOBILE HOME FOR SALE, Cortez, FL. All new inside and out, vinyl siding, lifetime roof, central AC, new granite counters with island and desk area, paver patio, 2BR/1BA. $129,500. Call 508-397-3953. NORTH BEACH VILLAGE: Gorgeous turnkey furnished totally updated 3BR/2.5BA, two blocks from the beach, hardwood floors, new kitchen, great rental history. Only $539,000. Call Kathleen White at 941-773-0165. Island Real Estate. Jan. 23, Rod & Reel Pier, 875 N. Shore Drive, criminal damage to property. A woman reported her vehicle being scratched from front to back a week earlier in the parking lot. Jan. 24, Crescent Drive, information. A radar speed sign was struck by an unknown vehicle and found not working by Anna Maria’s public works director. Jan. 25, 500 block of Kumquat Drive, domestic disturbance. Manatee County sheriff’s deputies responded to a couple arguing about the man not paying attention to the woman and wanting to play video games. Jan. 26, Gulf Drive North and Cortez Road, towed vehicle. A 24-year-old Bradenton man traveling west over the Cortez Bridge drove through the intersection at Gulf Drive into a rocky, sandy area, blocking traffic. The man told police he didn’t know the area. Police arranged a tow. Jan. 29, 500 block of Gulf Drive South, domestic battery. A 33-year-old woman was arrested after Bradenton Beach police officers arrived to find her hitting a man, who was covering his face, curled up on a sofa. The woman told police she was defending herself after the man hit her. Jan. 19, 3200 block of East Bay Drive, drugs. A 21-year-old man was arrested for theft and possessing a controlled substance after taking another person’s prescription off the counter while at the Walgreens liquor store. Holmes Beach police found the man in possession of 74 hydrocodone pills in a nearby parking lot and took him into custody. Jan. 20, 3000 block of Gulf Drive, domestic disturbance. Holmes Beach police confiscated a semi-automatic gun, two magazines and 17 rounds of ammunition after officers responded to a disturbance. A man and his fiance argued about the man being intoxicated and wanting to drive. A woman witnessed the argument. The man told the witness to take his gun, after he emptied the ammunition from the firearm. Police later found the gun in a glove box and seized it for safekeeping. Jan. 20, 5300 block of Marina Drive, disorderly intoxication. Holmes Beach police arrested a 46-year-old man yelling at cars in an irate manner. The man was visibly intoxicated, refused to answer officers’ questions and became aggressive. He was taken into custody and to the Manatee County jail. Jan. 22, 5800 block of Marina Drive, fraud. Holmes Beach police were dispatched to a call about a woman alleging more than $350 in fraudulent charges on her bank account, and told the officers she encountered a similar issue a year ago. There was plenty of action on the gridiron on AMI for adult and youth players the week leading up to Super Bowl. The youth flag football league at the Center of Anna Maria Island completed its fifth week and three teams are still seeking undefeated seasons — Ace Hardware, CABB Cleaning and Beach Bums. Beach Bums, which boasts a 6-0 record, leads the 8-10 division, just ahead of second place Progressive Cabinetry with a 4-1-1 record. Slim’s Place holds down third at 3-2-1, while Planet Stone at 1-4-1 is in a tie with Ugly Grouper for fourth. Bins Be Clean at 1-5 completes the standings. 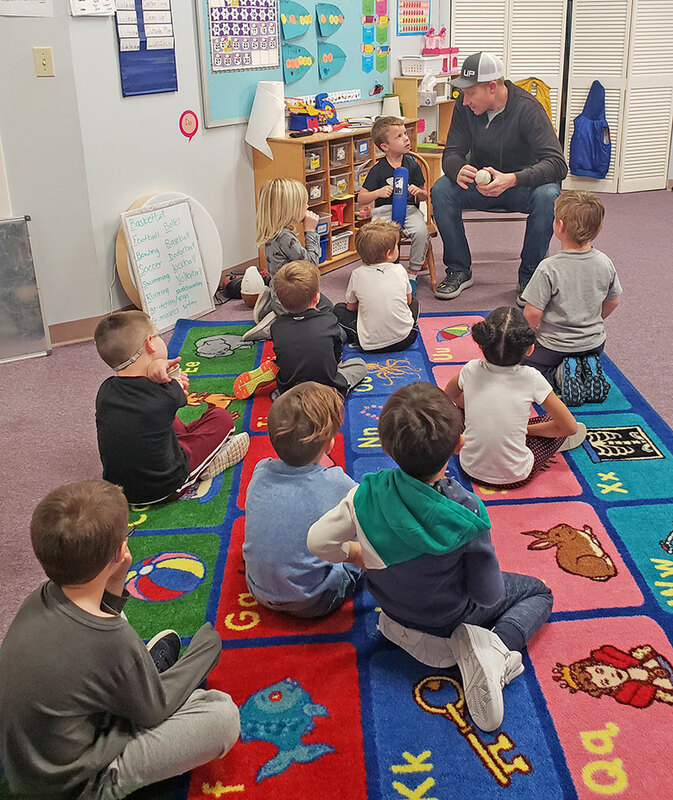 Action in the 8-10 division kicked off Jan. 29 with Progressive Cabinetry rolling to a 20-8 victory over Planet Stone behind touchdowns from Landon Snyder, Conner Henderson and Jack Whiteside. Gavin Lyssy and Snyder completed the scoring with extra points. Cale Rudacille scored the lone touchdown for Planet Stone in the loss. The second game of the evening saw Beach Bums outscore Slim’s Place 32-21 behind a pair of touchdowns from Ashton Hovda and a touchdown and extra point from Peyton Hovda. Brennen Gunter, Ava Harlan and Nixon Conner each added a touchdown in the victory. Joseph Bramurov had a touchdown and a pair of extra points to lead Slim’s Place in the loss, along with touchdowns from Ben Rigney and Alexander Teich and an extra point from Laynie Sabath. The last game of the night saw Bins Be Clean edge Ugly Grouper 20-19. Connor Samblis and Gabriel Conn led Bins Be Clean with a touchdown and an extra point, while Carter Nance added a touchdown in the victory. Carson Clover’s two touchdowns led Ugly Grouper, which also received a touchdown from Beckham Factor and an extra point from Carter Cantrell in the loss. Eight-to-10 division action Feb. 2 saw Beach Bums continue to roll high with a 33-6 victory over Slim’s Place. The second game saw Ugly Grouper come off the schneid with a 39-0 victory over Bins Be Clean, while the final game Feb. 2 saw Progressive Cabinetry edge Planet Stone by a 15-7 score. The 11-13 division is led by CABB Cleaning, which sports a 4-0 record, comfortably ahead of second place teams Beach House Real Estate and Island Charms, both with 2-2 marks. Tyler’s Ice Cream follows at 2-3, while Grooms Automotive is in last place on a 1-4 record. Eleven-to-13 division action Jan. 30 saw Island Charms cruise past Grooms Automotive 18-7, while CABB Cleaning stayed undefeated on a 39-0 rout of Tyler’s Ice Cream. The 14-17 division has ACE Hardware on top with a 4-0 record, while Island Fitness is right at 3-1. Blue Lagoon holds down third place at 2-3 and Cloud Pest Control follows at 0-5. Action Jan. 30 got started with ACE Hardware slipping past Blue Lagoon 26-22, followed by an Island Fitness 21-14 win over Cloud Pest Control. The 14-17 division was back in action Feb. 2 with ACE Hardware rolling to a 29-14 victory over Blue Lagoon, followed by Island Fitness outscoring Cloud Pest Control 35-26. The adult flag football league at the Center of Anna Maria Island completed its third week of action with Gulfview Windows, Lancaster Design, Beach House Real Estate and Progressive Cabinetry all with 2-1 records, while Hashmark Sports at 1-2 and Ugly Grouper at 0-3 complete the standings. Progressive ended Gulfview Window’s hopes for a perfect season with a 34-13 thrashing to open adult action Jan. 31, while Lancaster Design improved to 2-1 with a 26-13 victory over Hashmark Sports in the second game. Beach House Real Estate closed out the action with a 34-13 thumping of Ugly Grouper. Three teams advanced to the knockout stage and battled for the day’s supremacy during Jan. 30 horseshoe action at the Anna Maria City Hall horseshoe pits. The team of Al Booker and John Crawford drew the lucky bye into the finals and watched as Gene Bobeldyk and Larry Delarber easily advance with a 21-1 route over Bob Mason and Tim Sofran. But Bobeldyk and Delarber couldn’t maintain the momentum, as Booker and Crawford rolled to the champion circle with a 22-15 victory. The Feb. 2 games appeared to be heading to a four-way playoff, but three teams with 2-0 pool-play records dropped their last matches, leaving the team of Crawford and Bob Palmer as the day’s outright champions. 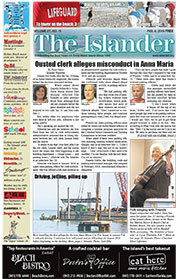 Play gets underway at 9 a.m. Wednesdays and Saturdays at the Anna Maria City Hall pits. Warmups begin at 8:45 a.m., followed by random team selection. Persistent rains closed the course and limited members of the Key Royale Club to the clubhouse Jan. 28-29. The course dried sufficiently Jan. 31 for the men to play a nine-hole shamble, producing the shot of the day for Bill Brodie — a hole-in-one! Brodie aced the 150-yard third hole using a 7-iron. The 50 shamble golfers enjoyed refreshments with thanks to Brodie. The team of Neil Hammer, Chuck Patrick, Larry Pippel and Gary Risner matched the 1-under-par 31 carded by Kevin Brown, Brian Comer and Jerry Martinek to finish in a tie for first place. Second place went to the team of Ken Butler, Al Carr, Tim Friessen and Marty Hicks with a score of even-par 32. 117 Palmetto Ave., Anna Maria, a 1,971 sfla / 3,097 sfur 4bed/3bath/2car pool home built in 1976 on a 5,500 sq ft lot was sold 01/10/19, CFI USA Inc to Trend Setter Consulting LLC for $1,350,000; list $1,395,000. 6200 Flotilla Drive, Unit 281, Westbay Point and Moorings, Holmes Beach, a 1,114 sfla / 1,426 sfur 2bed/2bath condo with a shared pool built in 1979 was sold 01/16/19, Lyons to Waal for $425,000. 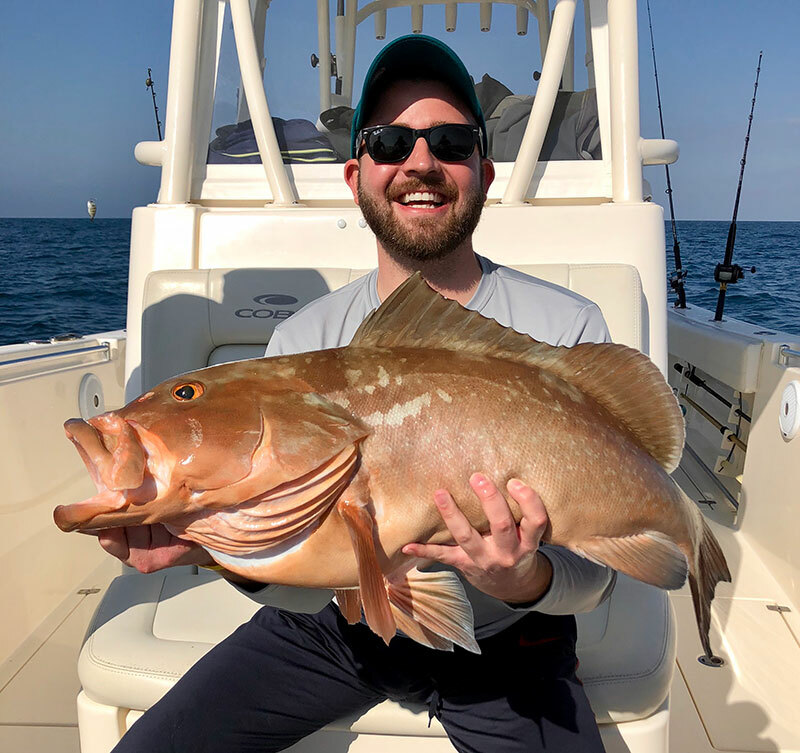 Dylan Ciocca, visiting Anna Maria Island from Philadelphia, shows off a beautiful red grouper, caught on cut mullet last week while fishing offshore in 120-feet of water with Capt. David White of Anna Maria Charters. 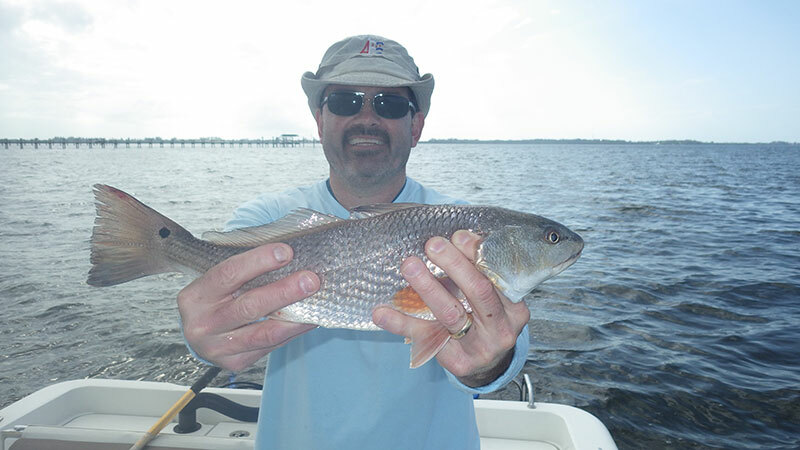 Jerry Oliver, visiting Anna Maria Island from Pennsylvania, shows off one of several redfish he caught and released Jan. 24 in Sarasota Bay using shrimp for bait. Oliver was guided by Capt. Warren Girle. It may not seem cold to the snowbirds, but to Floridians, it was a chilly week. As for fishing around Anna Maria Island, the sheepshead for dinner fare and the catch-and-release redfish bite remain steady. With numerous days of cold temperatures and windy conditions, fishing our local and inshore waters has been challenging. The bite is fairly good — the challenging part is dressing warm enough to be on the water. With temperatures in the mid-40s, traveling across the water at 30 mph in a boat can be uncomfortable. Fortunately, once the rod starts to bend and you’re reeling in the fish — just like in the summer heat — you forget about the temperature. On the warmer, calmer days, when the Gulf of Mexico is navigable, venturing offshore to ledges, reefs and wrecks is worth a look-see. In depths of 35-50 feet, mangrove snapper are abundant, as well as Key West grunts and porgies. If you’re lucky, you may reel up some hogfish, too. On my Southernaire charters, I’m staying inshore to concentrate anglers on sheepshead and black drum for the cooler and catch-and-release redfish. Fishing rock piles in Tampa Bay is producing some respectable sized sheepies. I’m seeing quality-size sheepshead being caught around docks and seawalls. As far as the black drum and catch-and-release redfish, dock fishing is where it’s at. Casting live shrimp in these areas is yielding many reds. Most are 18-24 inches, but the number of catches outweigh the small size. On some mornings, I am seeing as many as two dozen redfish reeled to the boat. And, with a few black drum and some fat sheepshead, it amounts to a decent morning of fishing. Jim Malfese says sheepshead fishing is the highlight of the week at the Rod & Reel Pier. He says when using live shrimp, fishers are doing well on 1-2 pound sheepies. Alternative baits, such as fiddler crabs, sand fleas or tube worms, are producing action on sheepies. While targeting sheepshead, you can expect to encounter a variety of other fish, including black drum, flounder and catch-and-release redfish. Casting baits from the pier into Tampa Bay is worthwhile for anglers looking to catch a pompano or possibly some jack crevalle. Capt. Aaron Lowman is fishing the bays and Intracoastal Waterway for sheepshead, as well as a variety of other backwater species. Casting live shrimp around docks is resulting in the winter trio of numerous sheepies, black drum and catch-and-release redfish. 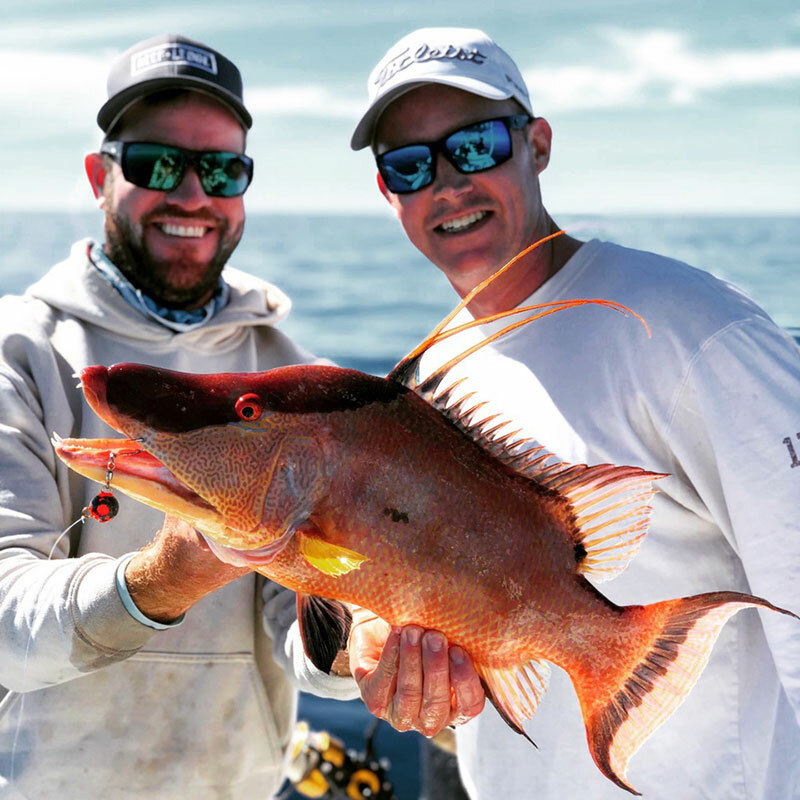 On calmer days, when the Gulf of Mexico is accessible, Lowman is venturing out to depths of 25-50 feet, where clients are dropping shrimp on a knocker rig around ledges, reefs and wrecks for a bite. The result is an abundance of mangrove snapper, sheepshead and Key West grunts. Tripletail are present in these depths, milling on the surface, mixed in with the floating debris. Capt. Warren Girle is working inshore most days to avoid rough seas that result from cold fronts. By fishing docks, canals and seawalls, Girle is leading his clients to numerous fish and some shelter from the cold and wind. The winter trio are rounding out the bite in these areas. Using live shrimp as bait is working well. On calmer days between the fronts, Girle is venturing to nearshore ledges and wrecks within 9 miles of shore. In these areas, many mangrove snapper are being caught, as well as Key West grunts, porgies and some catch-and-release gag grouper. Capt. David White of Anna Maria Charters is targeting sheepshead throughout the inland waters from Tampa Bay to Sarasota Bay. Casting live shrimp on a bottom rig around structure is resulting in sheepshead up to 21 inches. Fishing around docks for sheepshead also is producing black drum and catch-and-release redfish. Fishing the flats is working on calm, clear days. Jigging over deep grass flats for pompano and trout is producing action for those willing to work out their arms. Lastly, fly fishing for trout and catch-and-release snook is a good bet on the night charters with Capt. White. Shrimp and baitfish patterns are working well. Capt. Jason Stock is fishing offshore out to depths of 80-100 feet when the weather permits. By travelling, Stock is putting clients on plenty of big amberjack. Fish 60-70 pounds are not uncommon. Bottom fishing offshore with Stock is providing action on red grouper, hogfish and some large mangrove snapper.